Most folks have a vague idea of what's going on in their backs, but let's clarify. In your vertebral column, you have 24 vertebrae: 7 cervical (neck), 12 thoracic (thorax-ribs area), and 5 lumbar. The cervical vertebrae are the most mobile, giving you the ability to turn your neck in many positions. The thoracic ribs articulate with your 12 sets of ribs to protect the viscera, assist in breathing, etc. The lumbar vertebrae are larger, less mobile, and support the weight of the torso. When viewed from the side, the spine has a series of natural lordatic and kyphotic curves. Poor alignment often distorts these curves into a single C curve. In between each vertebra is a cartilaginous "invertebral disc," which I mentioned last week in relation to osteoporosis. These discs act as shock absorbers while also helping to maintain the structure of the spine. Misaligned discs can be painful, or not. Many people have slightly herniated discs (meaning displaced) and have no pain or symptoms from it while others have serious issues, including compressed nerves and persistent pain. Image from Grey's Anatomy of Erector Spinae and intermediate spinal muscles. Muscularly speaking, there are many layers of muscle stacked on top of each to make up this portion of your posterior kinetic chain (a fancy way of side your backside). Our deepest level of posterior muscles are a series of very small muscles running between individual vertebrae, specifically the transversospinalis muscles. They assist with maintaining healthy curvature of the back, as well as bring the spine into extension, or what we think of as a backbend. The intermediate musculature is what you see here on the right-this series of long cord-like structures, which assist in extension as well as side bending in the spine. Superficial musculature is often more of what you can see on someone's back side-muscles like the trapezius, latissimus dorsi, etc., both of which play a major role in moving the shoulders and neck, as well as spine. (Lats are a big player in pull ups, and the trapezius often gets very tight and restricted in musicians). A detailed look at the muscles of the back and shoulders, courtesy of Encyclopedia Brittanica. The left view is the topical view, sans epidermis, and the view on the right peels one layer of back myofascia off to look deeper. I found this image on the internet, but I have no idea where it came from. I do love it, though! Your spine moves ultimately in 6 directions- round, extend (hello cat/cow), side bend both sides, and twist both sides. The musculature of your back (as well as the muscles of your front) help support the spine and organs as you make these movements, which help keep the invertebral discs healthy, and lengthen compressed areas in the body. The muscles of your pelvis and abdomen are also incredibly important to postural maintenance and stability, but we'll talk about those another day. Can you see how if a musician is short in one side of their body, due to an asymmetrical instrument, they might have misalignment and back pain? Your Spine Is Not A Column, So Stop Sitting Up Straight! If you walk into a classroom of kids, mostly likely you'll hear a teacher telling all the kids to sit up straight whether it's in orchestra, the classroom, or an assembly. What the kids then do is stick out their chest out and attempt to look like a gymnast popping off of the high vault. 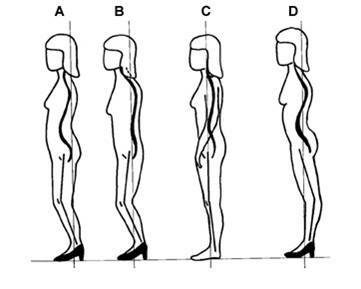 The name spinal column leads many folks (of all ages) to believe that sitting up straight is the solution, when in fact the undulating curves of the spine are what help us move in so many diverse ways. Many sitting commands don't acknowledge these curvatures (including the yoga tadasana cue "tuck your tail," which can flatten out the low back curve). The spine is in no way straight like an architectural column, and sitting up straight can be a confusing cue when we don't have a rod for a spine. As a baby, our spine starts as one giant C curve in order to accommodate the small space of the womb. Learning how to sit upright and support the neck's weight starts to develop the curvature of the cervical spine, which starts around 4 months of age and continues through months nine and ten. Learning how to walk (after crawling) will help develop a lumbar curve, and movements from 2-10 will solidifiy the curvature of the spine. Clearly, the spine is a fluid series of curves which develops throughout childhood. When most kids interpret the words "sit up straight," they over correct and attempt to flatten out the curves of the spine. Many adults continue to react to this cue, long after they've left the classroom, which can lead to some interesting postural, performance, and sometimes pain patterns. What we can do instead is (with the help of movement and manual therapists) start to sit better, or in balance, or in alignment, or in any other word than straight. In addition, it's ok to move through different positions while sitting (including slouching), because sitting in the same position for hours and hours isn't great for your body. See if you can learn how to find a better way to sit allowing the natural curves of the spine to do their thing, while also allowing for some variation in your sitting positions. Sitting alignment is a complicated thing, but I think we should retire the command, "sit up straight." If we look at this image, it looks like the "good" boy has no spinal curves and is sitting up in a way that presses his whole back to the chair. 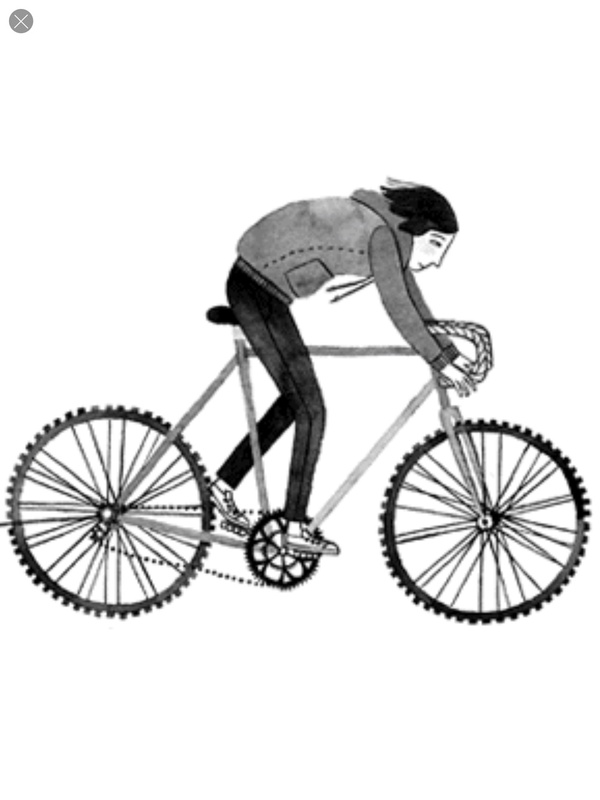 This drawing from Carson Ellis (book is Wildwood) gives an idea of how we round our spines when we bike, especially if we have a road bike. 5. Deepens a student's awareness of the body in space, and remembering how to return to neutral rather than rounded and collapsed off the bike. This guy on the right is what I'm talking about. Not looking great, especially with that wacky head position. But, you can see how it's easy to bring that posture back from the bike and into the practice room, car, desk, or wherever. Here are some other things to consider: biking can also tighten the muscles of your upper back and shoulders, and long-term, can decrease your mobility which is frustrating for musicians. 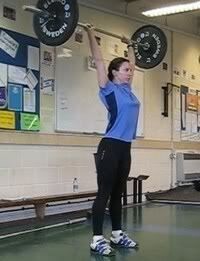 So do some shoulder work, keep working on hip mobility, roll on some balls, and pick your counter-activity carefully. Every movement pattern we adopt affects the form and function of our body, long term, so make sure you're bringing your tissues back to neutral as you train, move, or just exercise. 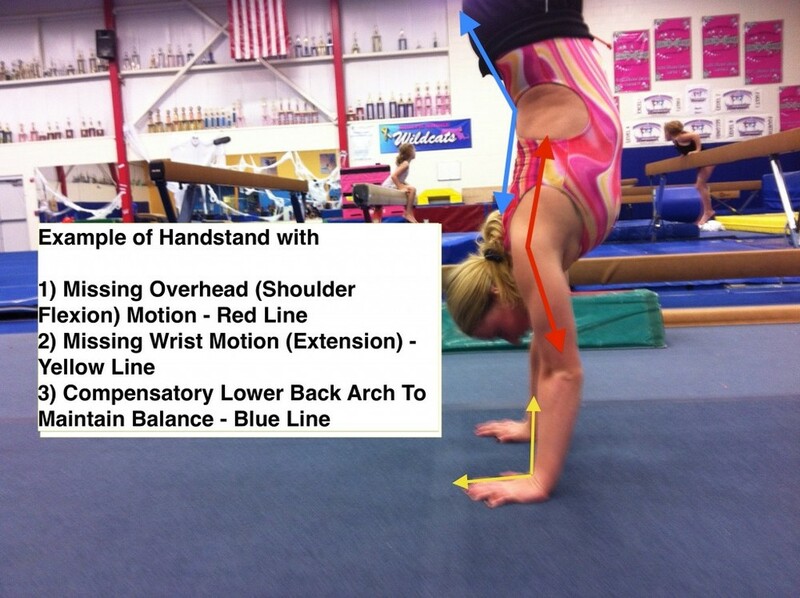 This blog is awesome for exploring biking postural positions. 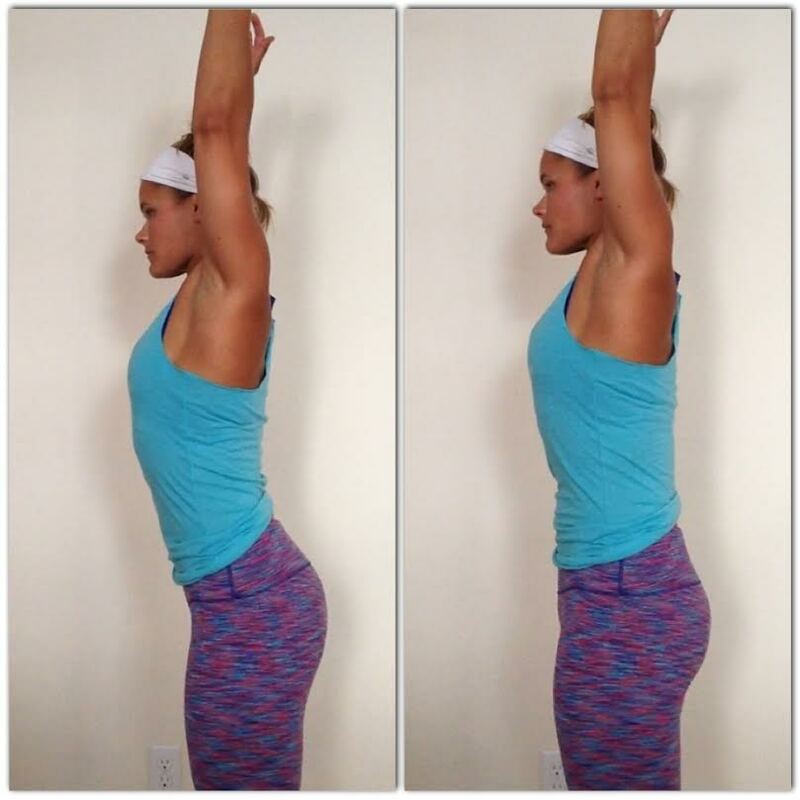 Stretch out those in those shoulders here! I like this YTU® pose for hips, and this video on the bottom for breaks in between biking, playing, driving, etc.